A lot of decisions that companies make not as near an simple as they look. There is a lot of discussion about Microsoft;s decision to turn off tracing of were you go on the Internet. This article The Hidden Feature That Means Microsoft Has Already Won The 'Do Not Track' War covers the discussion pretty well. May make for an interesting discussion in class! You can read about some other Microsoft backlash on the Geeky Mom blog. Ken Royal‏ had an interesting interview with Iowa Supt. 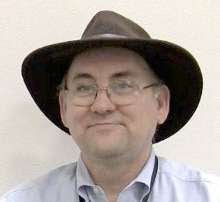 John Carver Changing Education's DNA Listen to how his district is using Twitter and other social media and hear why he’s like to make school busses mobile Internet access points. Did you know that Advanced Placement has the lowest number of female test takers of any AP subject - stuck at 19% from Jane Margolis. Worry anyone else? Mark Guzdial @guzdial is Seeking K-12 teachers for study on learning App Inventor The are looking for teachers who are interested in learning and using App Inventor for Android but haven’t started with it yet. 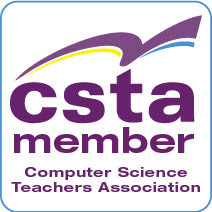 I have been updating my Computer Science educators on Twitter list. Who am I missing? Are you on Twitter? You may want to follow this list. Or at least let me know if you should be on it. Follow me on Twitter @AlfredTwo.